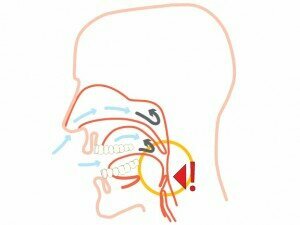 As a person falls asleep, their lower jaw (mandible) relaxes and falls down and backwards, causing the airway to narrow and increases the accumulation of soft tissue. 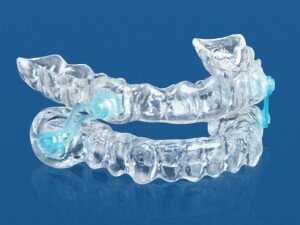 As air is breathed, the collapsed soft tissue vibrates and this causes the snoring sounds. Oral appliance therapy (OAT) are custom made, form fitting dental mouthpieces, which hold the mandible (lower jaw) in the ideal position. This creates more opening for the airway, and the airflow becomes smooth and without sound. Thus reducing or eliminating the snoring! Opens the airway and allows for smoother breathing. Thus reducing or eliminating the snoring! Note: Custom Oral Appliance Therapy should be provided under the supervision and care of a qualified dentist. Teeth movement, shifting, and temporomandibular jaw dysfunction (TMJD) have been reported by the use of improper oral appliances. To learn if this treatment is right for you, Book A Free Consultation Now!